Donald Trump seen nodding in approval. The fight with Islamic terrorism is a holy battle and today our country is perhaps the most active force in the world fighting it. The Russian Federation has made a responsible decision on the use of armed forces to defend the People of Syria from the sorrows caused by the arbitrariness of terrorists. Christians are suffering in the region with the kidnapping of clerics and the destruction of churches. Muslims are suffering no less. Looks like somebody gets it! This is a very good thing done by the Russian Orthodox Church. Why Won’t Obama Call the Men He Keeps Killing Radical Islamic Terrorists? 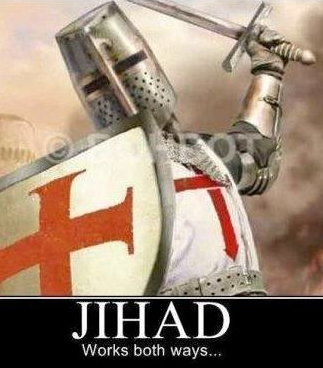 “We’re in a war against radical Islam, but President Obama won’t even name the enemy! Hillary Clinton also refuses to say the words radical Islam, even as she pushes for a massive increase in refugees.” Donald Trump April 2016. A detailed Slate investigation finds that these Republicans are correct. Obama has stubbornly distinguished refugees from enemy combatants. And in more than seven years of killing radical Islamic terrorists, he has consistently refused to call them radical Islamic terrorists. Now if only Pope Frank got it.